Rubin, creator of the Android operating system, is planning to marry his background in software with artificial intelligence in a risky business: consumer hardware. Armed with about a 40-person team, filled with recruits from Apple and Google, Rubin is preparing to announce a new company called Essential and serve as its CEO, according to people familiar with the matter. The centrepiece of the system is a high-end smartphone with a large edge-to-edge screen that lacks a surrounding bezel. At the Consumer Electronics Show in Las Vegas in early January, Rubin discussed the smartphone with mobile carrier executives, including some from Sprint, people familiar with the talks said. Rubin registered Essential Products with California regulators in November 2015. In late 2016, the company registered “Essential” with the US Patent and Trademark Office, listing smartphones, tablets, accessories and “computer operating software for mobile phones” among its goods and services. It’s unclear if the devices will run on software based on Android. While still in the prototyping stage, Rubin’s phone is aimed at the top of the market where Apple’s iPhone and Google’s new Pixel reside. It’s expected to include high-end materials and the ability to gain new hardware features over time, the people said. Representatives for Rubin and Sprint declined to comment. Rubin sold Android to Google in 2005. He spent eight years at its helm at Google, turning the operating system from a tiny project into the globe’s most dominant software for running mobile devices. 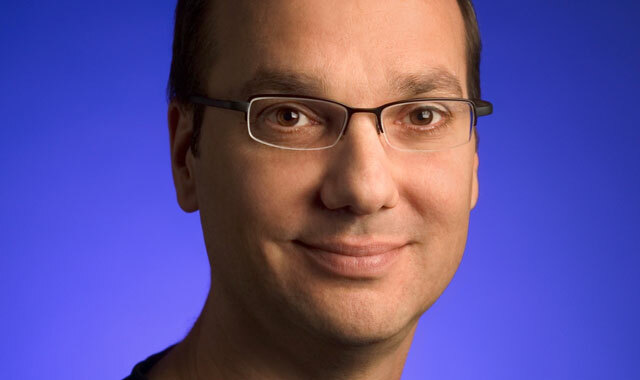 In 2013, he stepped down from Android to form Google’s robotics unit before leaving altogether in 2014. Rubin’s next venture was a start-up incubator called Playground Global, which backs artificial intelligence, robotics and augmented reality projects. Playground Global, which occupies a sprawling warehouse in Silicon Valley, has raised at least US$300m from big investors including Hewlett-Packard, Google and Apple supplier Hon Hai Precision Industry. The latter, known as Foxconn, is in talks to manufacture Rubin’s new smartphone, according to people familiar with the matter. At least one prototype of Rubin’s phone boasts a screen larger than the iPhone 7 Plus’s (5,5 inches) but has a smaller overall footprint because of the lack of bezels, one of the people said. The start-up is experimenting with enabling the phone’s screen to sense different levels of pressure, similar to an iPhone, the person said. Rubin’s team is testing an industrial design with metal edges and a back made of ceramic, which is more difficult to manufacture than typical smartphone materials, two of the people said. Essential’s engineers are developing a proprietary connector that serves double duty for charging the battery and expanding the phone’s functionality over time, one person familiar with the planning said. The magnetic connector would allow Essential or even third parties to create hardware accessories that add features to the smartphone. For instance, Rubin’s engineers are working on a sphere-shaped camera add-on that shoots high-resolution, 360-degree photographs, the person said. Helping run the project are former Google colleagues and Apple managers, including Rebecca Zavin, Joe Tate, Linda Jiang and Jason Keats. Zavin, a former senior Google software manager, is running software for Rubin. Keats and Tate are helping run hardware engineering, and Jiang is a key designer for Essential, according to a person familiar with the start-up.